Ask RP Photonics for advice on any aspects of mode-locked lasers. 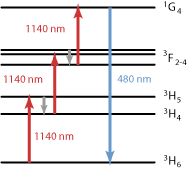 Pulse trains with high pulse repetition rate are sometimes obtained with the technique of harmonic mode locking, where multiple ultrashort pulses are circulating in the laser resonator with a constant temporal spacing (see Figure 1). 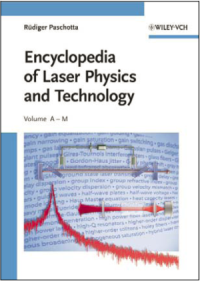 This technique is often applied in high (multi-gigahertz) pulse repetition rate fiber lasers, since their resonators can not be made short enough to achieve a high repetition rate with a single pulse (→ fundamental mode locking). Figure 1: Schematic of a harmonically mode- locked fiber ring laser. Additional means may be required for achieving a constant pulse energy. Without special measures, there may be fluctuating pulse energies, or even pulse drop-out. The circulating pulses are not always mutually phase-coherent, which can matter under certain circumstances. In the case of passively mode-locked lasers, it can also be difficult to obtain a stable pulse spacing, i.e. a low timing jitter. Various kinds of instabilities are related to so-called supermode noise. If N identical pulses are circulating in the resonator with equal phase, only every Nth resonator mode is excited. Supermode noise means that stable oscillation on such a subset of resonator modes is not achieved; the laser may hop to different sets of modes, or exhibit simultaneous oscillation on different mode sets over longer times. The beat notes involved are associated with increased high-frequency laser noise, e.g. in the form of increased timing jitter. 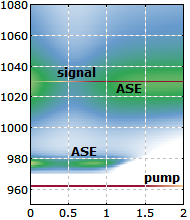 There are a variety of methods for suppressing supermode noise. These involve measures such as inserting various types of intracavity spectral filters and/or using electronic feedback systems, or exploit nonlinear and dispersive effects. In many cases, the setup of a harmonically mode-locked laser becomes more sophisticated due to such requirements. On the other hand, once supermode noise is effectively suppressed, harmonically mode-locked lasers have the potential for substantially lower laser noise (e.g. timing jitter and phase noise), compared with fundamentally mode-locked lasers. A variation of harmonic mode locking is called rational harmonic mode locking. Here, the modulation frequency is the round-trip frequency times the ratio of two integers. This also enforces a higher pulse repetition rate. In some cases, very high repetition rates have been achieved, but often with a non-constant pulse energy.